SunCommon now offers the ability to generate your own clean power – and then store it to use as you need it. Your solar and battery work together to keep the essentials of your home running. Enjoy the peace of mind and the comfort of automatic, silent back-up. Take control of your power supply, no matter the conditions. 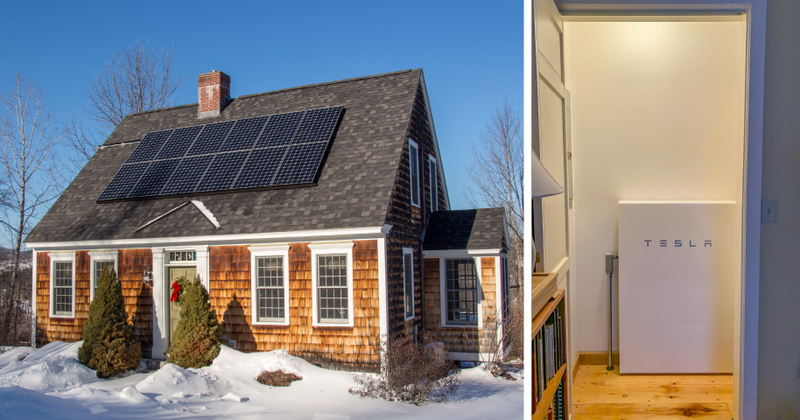 Homes with solar and storage enjoy the reliability of back-up power. At SunCommon, we believe that everyone has the right to a healthy environment and a brighter future – and renewable energy is where it starts. Energy from the sun can power every aspect of our lives – and now we can even store that power as a back-up, and take even more control of where our energy comes from. When we combine solar power and energy storage, we can power with sunshine during the day and through the night – building a more reliable, resilient energy system for our state. 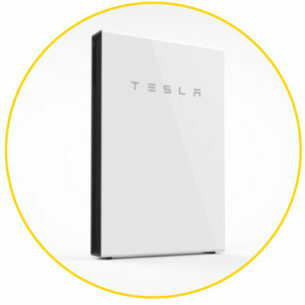 SunCommon offers Tesla Powerwall, a proven battery technology, powering Tesla’s electric vehicle fleets. As always, we offer financing with no upfront cost and a fixed monthly payment to help make solar and energy storage easy and accessible. What will these batteries power? You may not be able to host a neighborhood party during a power outage, but you’ll be able to keep your water running, your heat heating, and your freezer frozen. Building a more efficient, lower cost, and most resilient energy system is in everyone’s interest! Our federal government chips in by offering an income tax credit worth 30% of the cost of battery systems powered by solar. Additional incentives are available for you. Sign up to learn more about home energy storage with solar.